embedded metals. 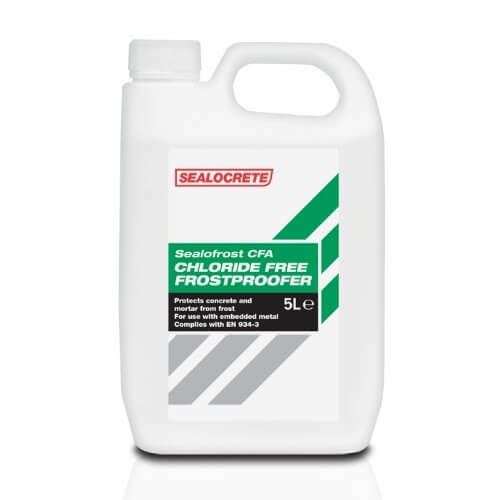 Sealocrete Sealofrost CFA is used in mortars and concrete which are based on Ordinary Portland Cements and plasticises the mix in accordance with EN 934-3. For internal and external use. Not suitable for structural concrete.